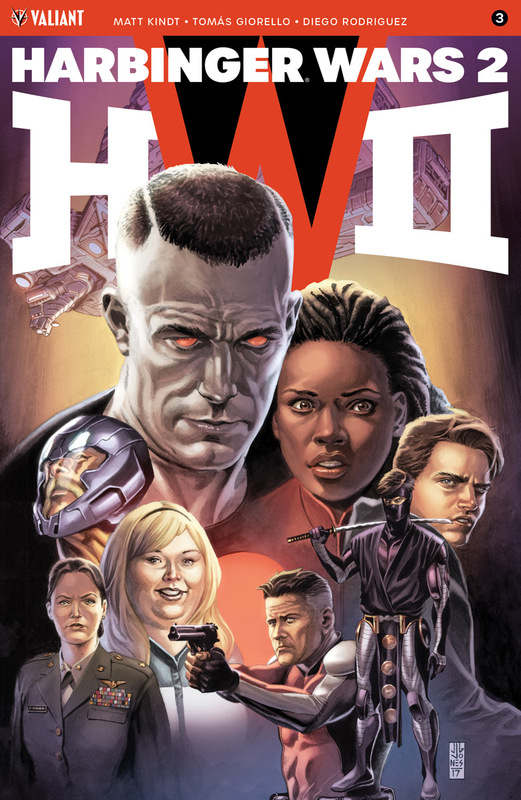 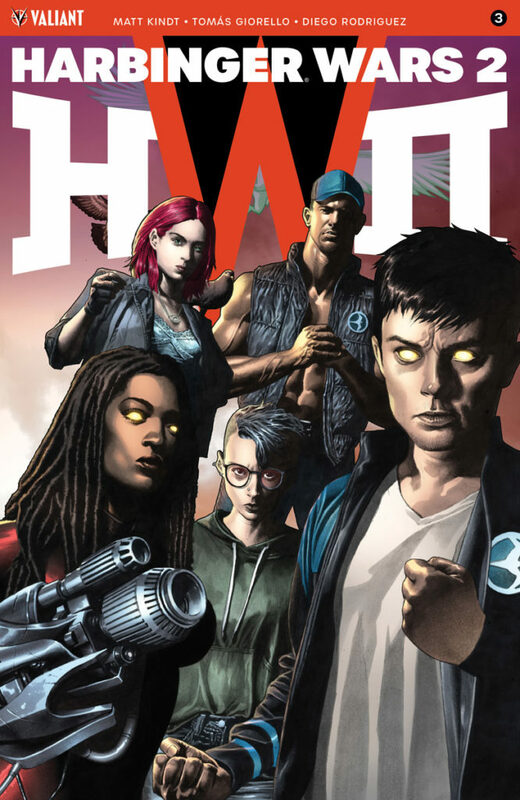 Valiant is proud to reveal your first look at the covers for HARBINGER WARS 2 #3 (of 4), the third chapter in the SEISMIC SIX-PART EVENT that will push Valiant’s most powerful heroes past their breaking points and beyond! 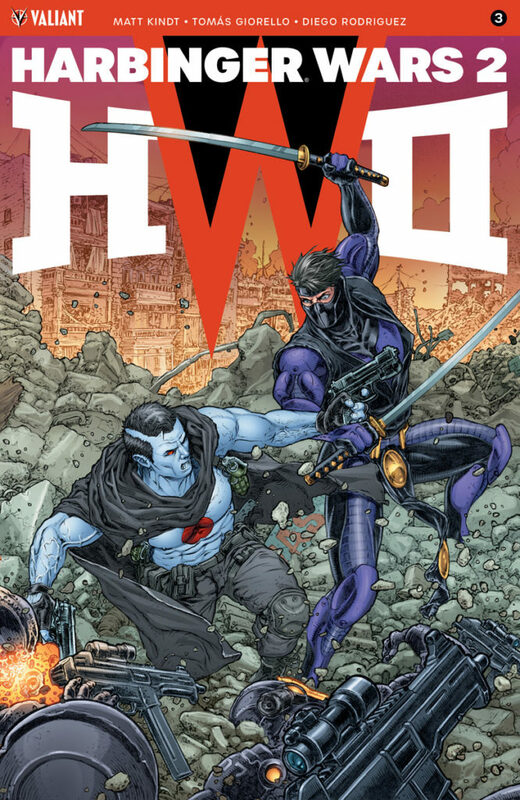 On July 25th, New York Times best-seller Matt Kindt (DIVINITY, Mind MGMT) and breathtaking artist Tomás Giorello (NINJA-K) – the creative team who waged war against the galaxy in the best-selling X-O MANOWARseries – advance their new campaign deep into the heart of the Valiant Universe towards an unstoppable, continent-shattering climax! 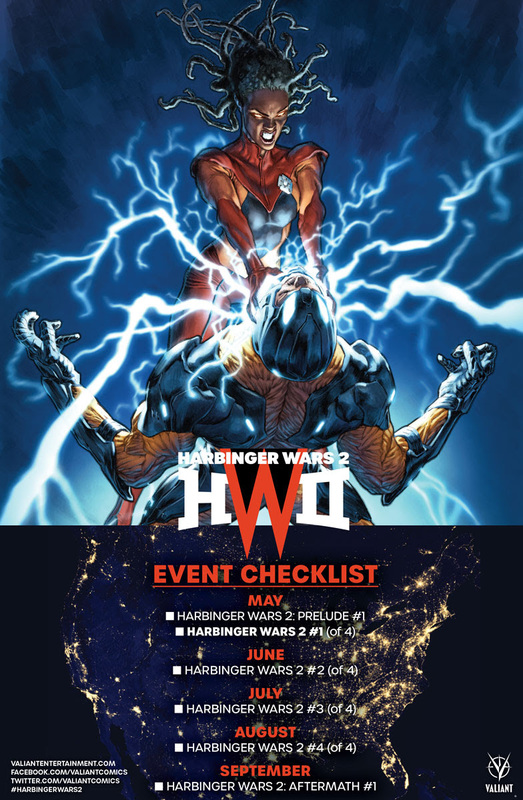 Next: On June 27th, the most powerful Valiant event attempted continues in full force with HARBINGER WARS 2 #2 (of 4), the next chapter of the senses-shattering confrontation of 2018 by Matt Kindt and Tomás Giorello!Coming soon…the unstoppable X-O Manowar enters the fray!